Most growing businesses will need a CRM (Customer Relationship Management) system at some point in their lives. Taking care of your customers is one of the most important tasks for any business, and a CRM used well is a surefire way to improve this experience. But how do you know what CRM to use? 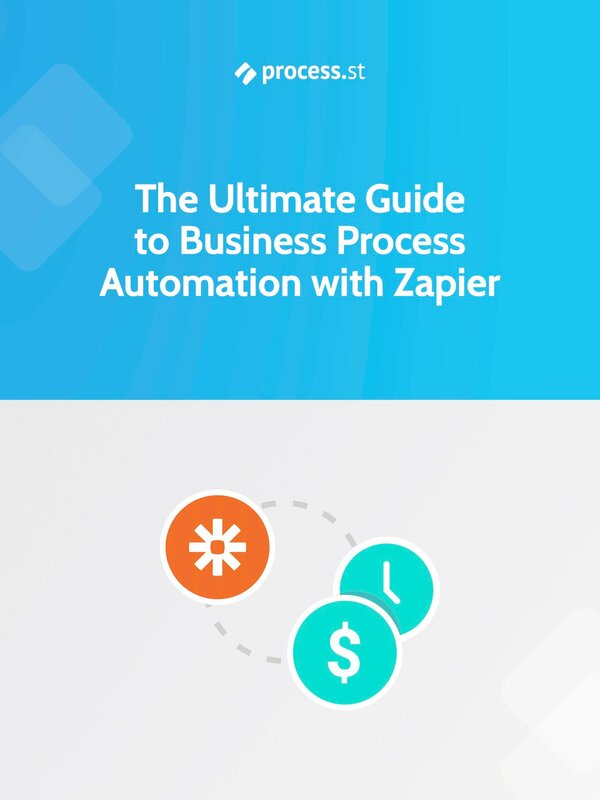 There are hundreds of products out there with different features and price points that can be confusing for any SMB looking to get started. And if you make the wrong decision from the get go, it can be time consuming and costly to make the change down the line. Q: What is the best cloud based CRM for SMB? Here are a few options depending on your business situation. But all businesses are different so you really want to give them a test run yourself, find out what fits best with your current workflow. 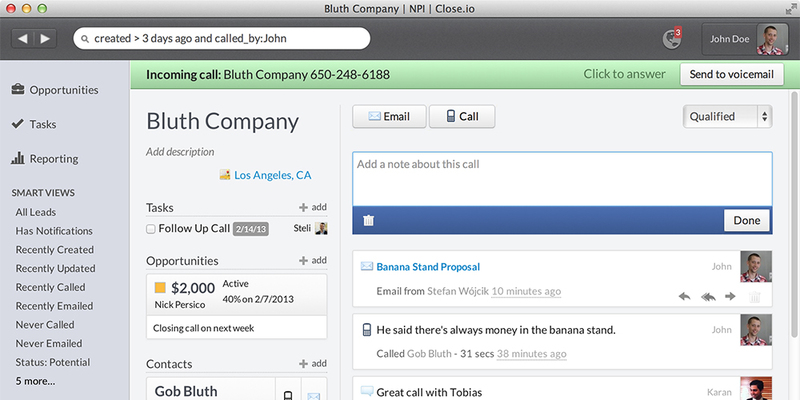 For the last few months I have been testing a new CRM called Close.io here at Process Street and have been loving it. Close is amazing for managing outbound email and calls. It is also does a really nice job of syncing emails from one or more email accounts and giving you a complete one page view on everything that has happened with that client. I also love the smart searches, allowing you to slice and dice your contacts in almost any way from last replied, email opened, custom fields and opportunity status. These lists are awesome for following up with prospects or customers as contacts ‘disappear’ off the list as you action them. The guys from 37 signals are awesome, they create killer products that are easy to use and run a business that we at Process Street aspire to. Their product Highrise started out as a simple contact manager product, but has since evolved into a powerful yet simple CRM. This is a great all-rounder tool. Its simple, will do most things you need such as manage contacts and conversations, set reminders, collaboration, different contact points for customers and much much more. They have cheap monthly pricing starting at $24 a month for 6 users and a 30 day trial to test the waters (pretty common these days across most SaaS products). Streak is a new comer to the CRM market and has a unique approach in that their core product is a Gmail extension. If you use Gmail or Google apps inside the Chrome browser as your main email client, then this might be the solution you’ve been looking for, as it was for me. While not as streamlined as a traditional CRM in terms of team, conversation and contact management, it leverages Gmail to do most of the heavy lifting for you. If you already use Gmail to manage your contacts and emails, and you just want a way to organize them better, create sales pipelines and customer/company profiles this is the simplest solution out right now and saves you from doubling up your data across Gmail and a separate CRM. They also have a cool iPhone app that is coming along nicely to help manage your customers on the go. The best part about Streak? Its FREE! At least for now, they say there are going to be premium features in the future, but as of writing this the whole product is 100% free. If you want a fully powered CRM for your sales and customer success team with every bell and whistle under the sun there is no looking past Salesforce. I’m not going to bother listing their key features because it’s basically everything… Salesforce is the oldest, biggest CRM provider out there and if you have some coin to drop and are serious about building a powerful sales team you should definitely consider this tool. Salesforce pricing starts at $5 per user per month, but these lower packages are not very useful as they are feature limited. 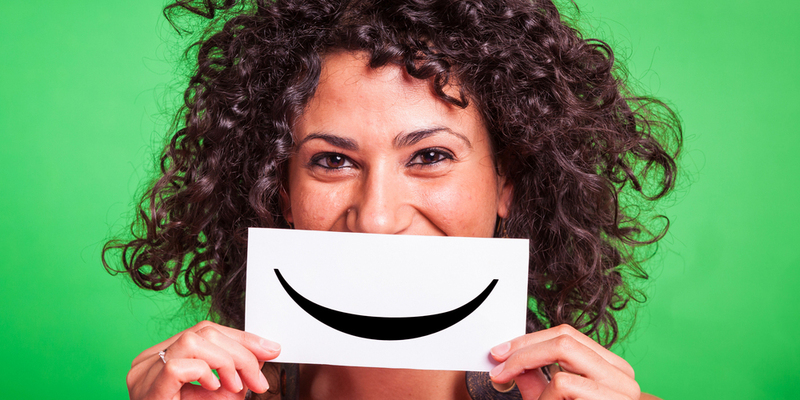 If you want to access the suite of features you are looking at $65-300 per user/month. If you’re considering a lower price price point, something like Highrise is a better option, more features for a fraction of the price. Now you know how to manage them, learn how to generate leads with content upgrades, a technique used to drastically increase email subscribers. In fact Sellsy have a very broad range of features, that’s what make it quite unbeatable when it comes to “working faster”. Sellsy includes CRM, invoicing, time tracking, project management, help desk, POS, e-commerce and much more. For the pricing part, we have a self service plan with email support, generally a 10th of a Salesforce similar plan with much more feature. For enterprise customers, we do offer yearly contracts with really competitive princing (like $40/mo per user for a fully fledged plan). Hi Vinay, I was wondering if there was something missing from the “other worthwhile mentions”. Have you looked at Leadsquared ( http://bit.ly/1ngu9VN )? If not, then please do take a look at it when you have some time. I’d appreciate it if you could evaluate our product and share your feedback. Another one to look at is Infusionsoft. It has Gmail and Outlook integrations, the lead capture functionality, and the marketing automation piece. You could check out ClinchPad as well. It’s built for small businesses, it’s affordable(FREE, $9 to $99/month), super simple to use and very intuitive. It also has integrations with Google Apps and various other third party apps such as MailChimp, Wufoo etc. It’s super simple and super cheap. The last CRM you will ever need is http://www.podio.com – this is an amazing tool that lets you build out an entire intranet just the way you want it and quickly and easily. I have a 17 minute video that shows you the power if you are interested. Give a try to ioGrow.com Social CRM on top of Google products. If you’re looking for a good CRM solution for a small business, I would like to suggest AtemisCloud CRM. This 100% web-based CRM is in fact really easy-to-use, with an intuitive interface, and it is fully customizable to adapt to your specific needs. The price is also affordable for small businesses. The solution provides you with 54 modules in 6 different branches : CRM, Marketing, Administration, Projects, Finance, and HT. Any details on the pricing? We are using Capsule CRM specifically for it’s Google Apps integration and integration with our invoicing platform (Xero). It is easy to use, clean dashboard, and you can set up tasks and save contacts right from Gmail. We have tried hundreds of CRMs it seems, and have settled on using Capsule. Good price too, starts at $12/mo. I know it wasn’t mentioned, but do you have any experience with ActiveCampaign’s CRM functionality? You should check out https://www.extraaedge.com/, it is a CRM automation software which is specifically designed for education institutes.